Early leaders Bill Clark, Laurie McBride, Mark Hetts, and Cheri Bryant. Horizons Foundation’s roots — as with so many Bay Area LGBTQ community organizations — lie deep in the phenomenal growth and development that marked the 1970s and early 1980s. It was a time when tens of thousands of LGBTQ people found their way to San Francisco and, as the population multiplied, activists began to establish organizations to help, support, and advocate for us. The idea behind Horizons was completely new: a community-based foundation to support the whole spectrum of LGBTQ organizations — a foundation that was of, by, and for LGBTQ people. Initially founded as the philanthropic arm of the Golden Gate Business Association, Horizons became independent in 1988. Since those earliest years, Horizons has grown from making two grants of $500 each in 1980 to a total of more than $30 million since that time. The foundation’s history both reflects and helped to shape the history of the LGBTQ community itself. Reading through Horizons Foundation’s history of grantmaking is very much like a reading a shorthand history of the LGBTQ community, and the foundation’s grants track the community’s needs and priorities. 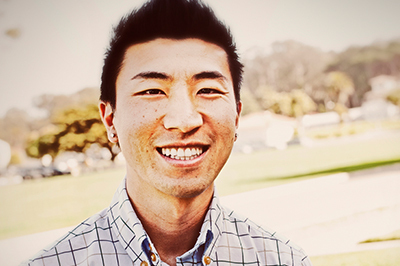 The foundation’s grants did more than just follow the growth of the LGBTQ community. They helped to chart its course. During its first decade alone, Horizons seeded some of the most influential LGBTQ organizations of our time. 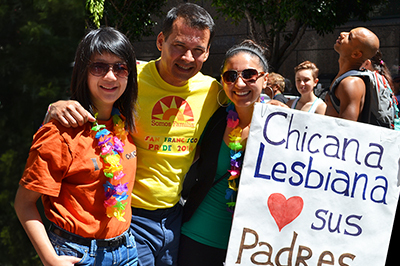 In our first year we awarded a grant to the Lesbian Rights Project, a public interest law firm that later grew into the National Center for Lesbian Rights (NCLR). Horizons made the first foundation grant to support the inaugural Gay Games in 1982, when a handful of out gay athletes competed openly at Kezar Stadium in Golden Gate Park. Before long, Horizons became especially well known for identifying emerging issues and organizations, and channeling precious seed money to fledgling groups and visionary activists. As some LGBTQ nonprofits took root and began to grow, Horizons often continued to provide support so that they could increase their impact. The truth is that helping important groups get started wasn’t enough, largely because virtually no other foundations would fund LGBT causes. Horizons’ logo in the 1990s. Horizons’ birth predated the appearance of HIV by only a year or two. In keeping with the pattern of early seed funding, Horizons made history in 1982 as the first foundation in the U.S. to support an AIDS service provider: the Kaposi’s Sarcoma Research and Education Foundation, later known as the San Francisco AIDS Foundation. 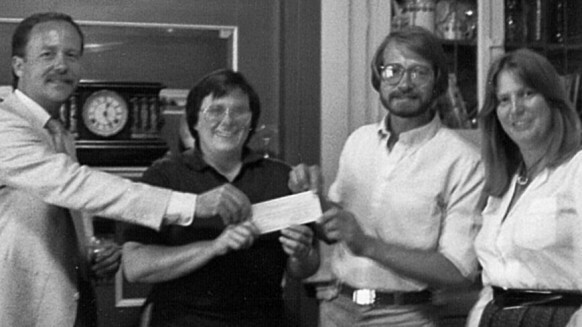 We also gave Project Open Hand its first grant, which helped Ruth Brinker, a retired grandmother who had started the organization cooking meals in a local church basement for seven men with AIDS, to secure nonprofit status and grow Open Hand to feed thousands more living with HIV and AIDS. Another hallmark of Horizons’ grantmaking, dating from the foundation’s earliest days, has been to target its support toward the most marginalized and underserved sectors of our community. Horizons is a foundation for the whole community, and has always given special priority to those least likely to find support elsewhere. Over the years, this priority has translated into early — and frequent — support for LGBTQ communities of color and youth, as well as the elderly, transgender people, and women. By the later 1990s and into the new millennium, Horizons experienced significant growth. 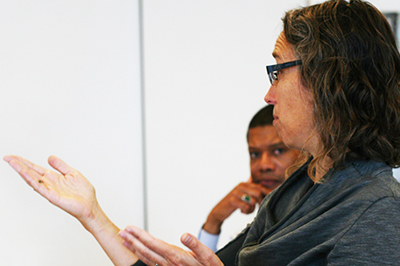 Grantmaking alone increased several-fold. The foundation launched a Donor-Advised Fund Program, which has since grown to more than 90 funds. Over the first decade of the new century, Horizons dramatically expanded its educational programs and services for donors and was regularly bringing national and local movement leaders for sessions with LGBTQ donors. 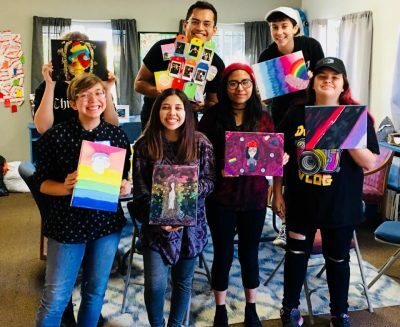 Horizons also began its first forays into building the leadership capacity of LGBTQ nonprofits with a major new leadership development program called the Strategic Partners Program. In more recent years, the foundation has continued to grow, to the point that its total assets under management now exceed $20 million, including an endowment topping $7 million. Annual grantmaking has grown to well over $1 million each year, and we’ve expanded the foundation’s work in supporting leaders of LGBTQ organizations. Horizons has also built extensively on an already-rich tradition of work to increase the financial support flowing to LGBTQ-serving organizations from both mainstream foundations and individual donors. Today, the foundation is a national leader in efforts to grow giving by LGBTQ people to LGBTQ causes and has brought millions of dollars to our community through advocacy with mainstream foundations. As our community’s foundation, Horizons has also increasingly focused on the longer-term future for LGBTQ people. We are thrilled by the progress of the LGBTQ movement — and proud of the role that Horizons has played in that progress — but we’re also looking to what will be needed 10, 20, and even 40 or 50 years down the road. A crucial aspect of this longer-term vision has been to take advantage of our historic opportunity to bring unprecedented funding to the community through planned giving. 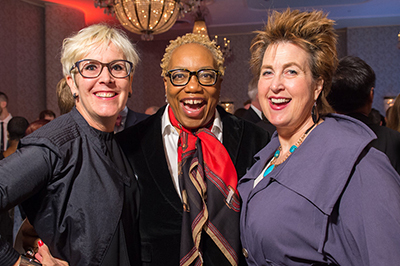 In the foundation’s 25th anniversary year — 2005 — Horizons established the LGBTQ Community Endowment Fund with a minimum future goal of a $100 million endowment for the future of our community, forever. Today, Horizons remains true to its commitment to find and fund our community’s social entrepreneurs and start-up organizations that meet new needs, or meet ongoing needs in new and promising ways. Our evolving grants list continues to reflect and shape the community. Horizons Foundation is today what its founders envisioned: a community philanthropic institution that is of, by, and for the LGBTQ community, both today and tomorrow, and for future generations.